Devinelea's objective is to breed Labrador Retrievers who are both sound with great temperaments that are capable of undertaking any task set them, be it showing, retrieving, obedience or as a muched loved family companions. Labradors are very affectionate and fit in well to family life, be it playing with the kids or having a much enjoyed cuddle on the couch with the adults. They are easily trained and are eager to please. We have had dogs as part of our family for the last 55+ years, Ben's love of Labradors started when he was a kid, the family had a Black Lab named "Roy". Over the years between us we have had Basenjis, Great Danes, Saint Bernards, Cattle Dogs, German Shepherds, Kelpie, Fox Terrier and Alaskan Malamutes. The last 25+ years we have had the pleasure of having Labrador Retrievers. Our dogs are part of our family and live a happy and idyllic life on a rural property in Western Victoria about 2½ hours from Melbourne. 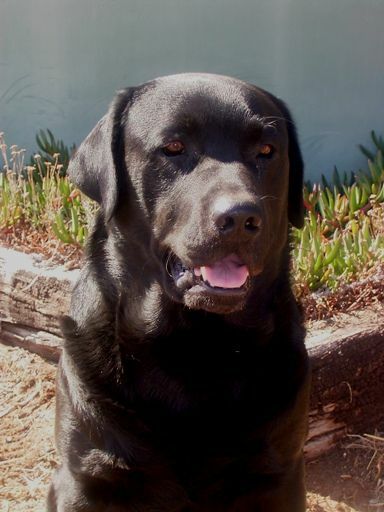 "ARTIE" Australian Champion & Australian Neuter Champion Jollab Winchester (AI). "MAGGIE" Australian Champion Jollab Perazzi (AI). "ZIVA" Australian Champion Devinelea Flanders Fields. "GIBBS" Australian Champion (dogsvic pending) Devinelea Anzac Cove. Our current show team are "ARTIE", "ELLIE" and "ABBY". enjoy the same things, people we wouldn't have meet if not for dog showing. black Labs from JOLLAB, we loved them and still miss them dearly. Geoff Jolly:- JOLLAB Labrador Retrievers. Jane and Clive Kibble:- CURLBROOK Curly Coated Retrievers. Jan and Gavan Farrelly:- JAYEFFE Labradors. Bev and David Jones:- KIRKDELL Labradors.